I am a self proclaimed succulent addict. I just love them and think they are so perfect inside and out. 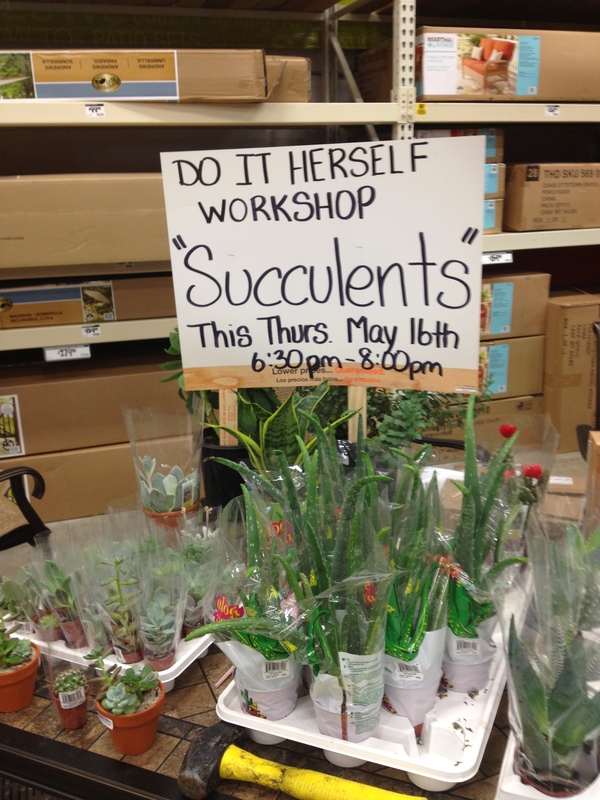 Several months ago I took a class at Home Depot about how to grow succulents. I was so excited. Honestly when we started the class we were talking a lot about succulents and we’re really planting much. I was kind of bummed out that I wasn’t getting to plant something awesome and bring it home. 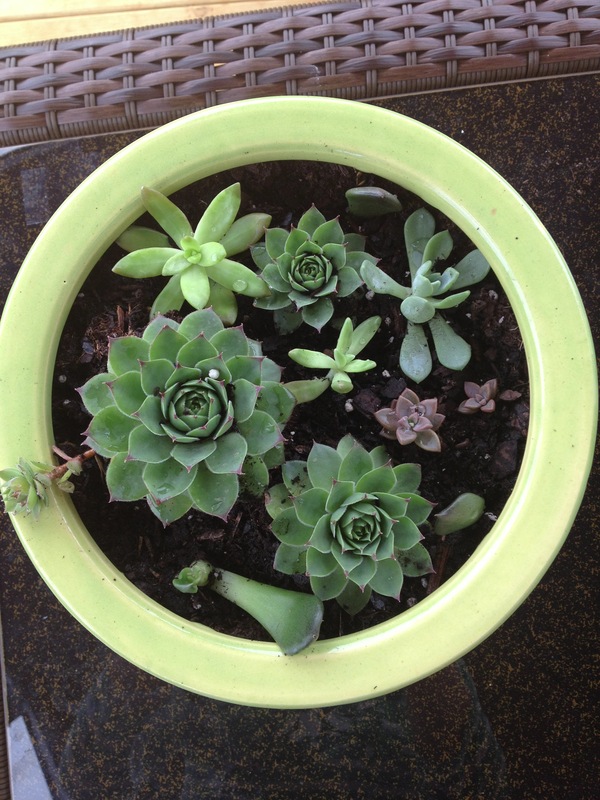 However, our teacher really blew me away when she brought in her own succulents which had become overcrowded in her pot. She gave us all a couple hens and chickens. (The large ones in my pot below). I was absolutly thrilled that I had something to plant. We also learned that you can plant just one leaf of a succulent and it will grow. I was absolutly astonished. This is my final product which has been growing for several months. It has come a long way from the inital hens and chickens and the leaves that I started with. The three identical ones are my hens and chickens. (You can see the biggest one has a shoot growing off of it) The two tiny purple ones came from leaves that the instructor at Home Depot gave us. They have become real little plants! I was also excited to see that when I planted a green leaf they turned purple. Lastly, the other two single leaves and the three other ones are all from my wedding bouquet. 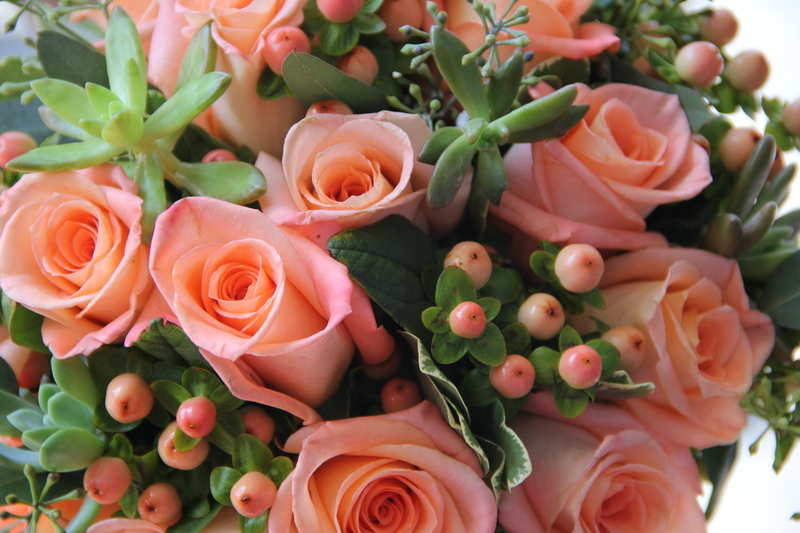 Yep, even my wedding bouquet had succulents in it. Overall I am thrilled that I haven’t killed them yet. (I have a black, not green thumb) and that I am getting to keep a little piece of my wedding day alive- literally! Ok, time to fess up – who else is totally obsessed with succulents? « Whoooo Loves Fall Smells?